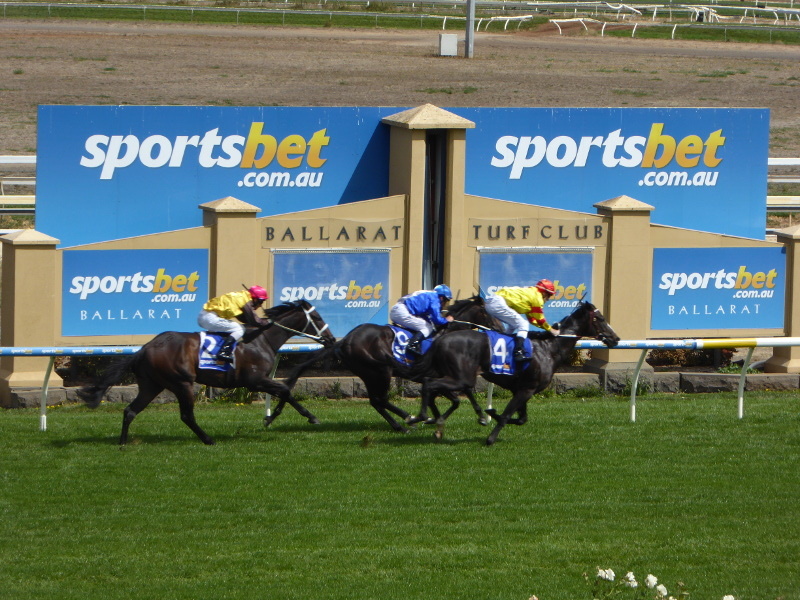 I chose a quiet midweek day in March to go to Ballarat Races. There were not many others who opted for that afternoon activity with me, so the big metal shed that makes the public area sheltered felt like a vast empty aircraft hangar. 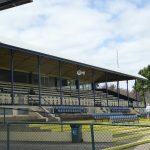 Why include this place on a Vintage Victoria site then, you might ask? 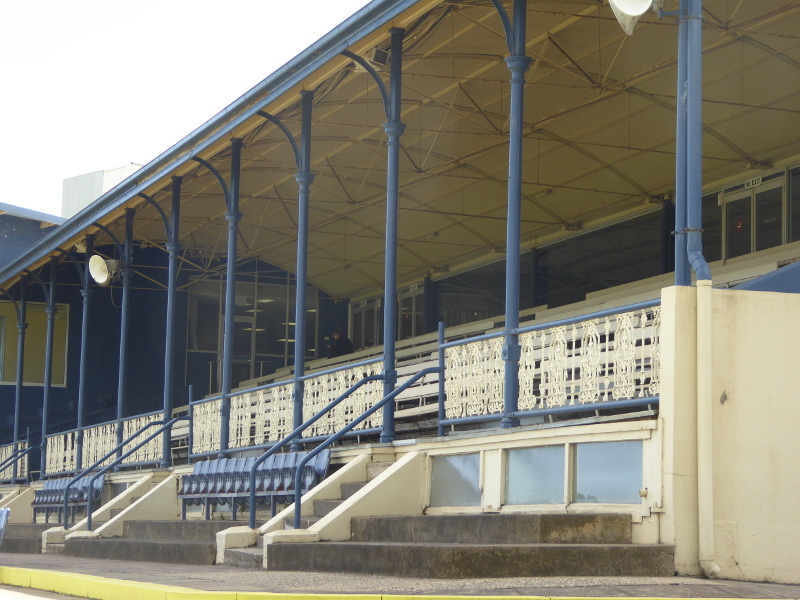 Well, it’s here thanks to its old grandstand that still sits opposite the 100m mark with classic navy blue and cream paintwork and wrought iron fence at the front. 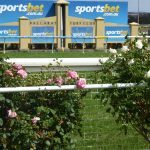 A chilly day in mid-March may not draw the crowds, but I imagine the place fills up on Ballarat Cup day in November, so that’s when the hangar-like shed would no doubt be buzzing. 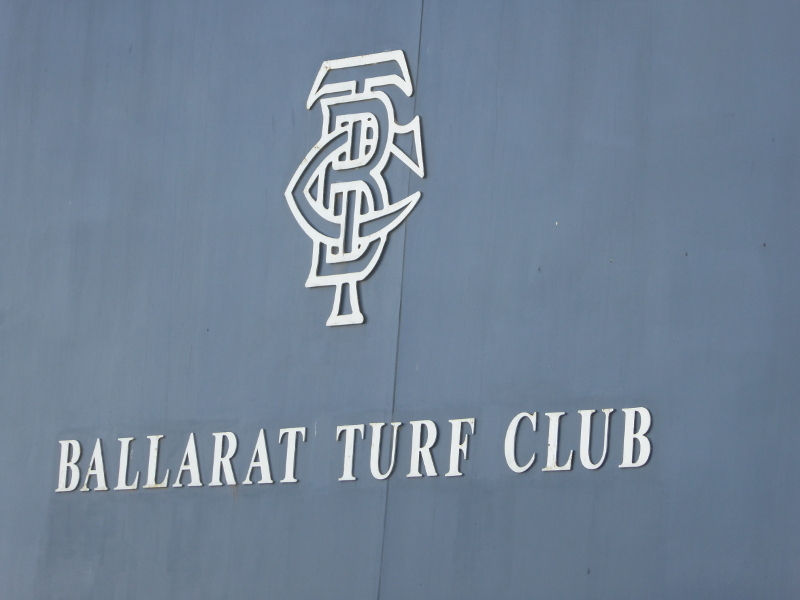 They say Ballarat is the coldest town in Victoria and I can well believe it as the wind flew down my shirt everywhere I found on the course, except a sunny spot just by the parade ring which made it a good place to horse-watch, though pretty useless for seeing the actual race. 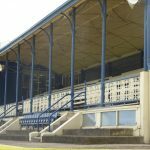 As a keen coffee and tea drinker, I also liked the fairly vintage looking Tea House just behind the old grandstand, and that must be a good spot to watch the animals race past on a big race day. I fancied a Cuppa but had to make do with the pop up van inside the windy hangar area. 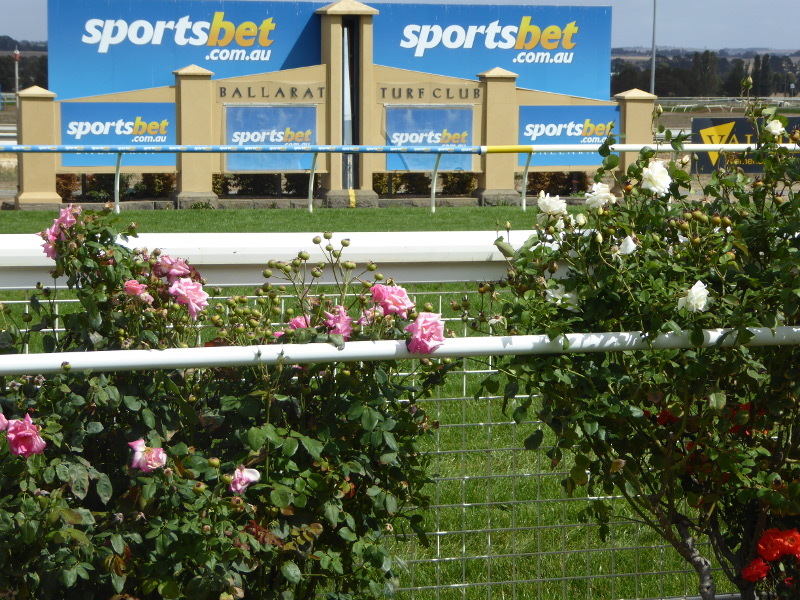 Hats off to Ballarat race course, though. I’ve not seen many race courses round the world where afternoon tea gets as much prominence as alcohol (Pontefract in Yorkshire springs to mind but I might be wrong; Plumpton in Sussex, too, so in my experience tea is a thing to be had at country courses). Ballarat is a big course. Even the 2000m start only brings the horses round once so this is more than 2kms all round. The running rail was lined with scented roses when I was there in March. I almost excused the biting wind. 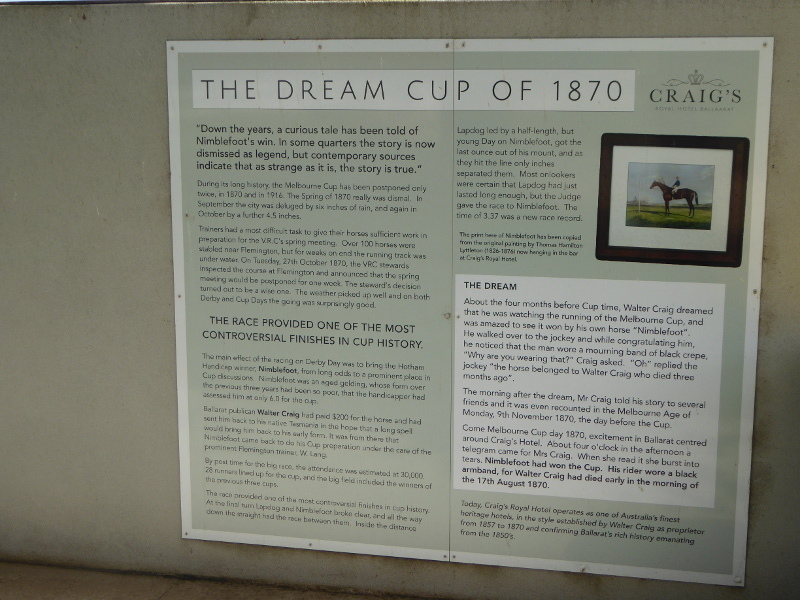 So the story relates to the 1870 Melbourne Cup which was won by a horse owned by a pub landlord from Ballarat. 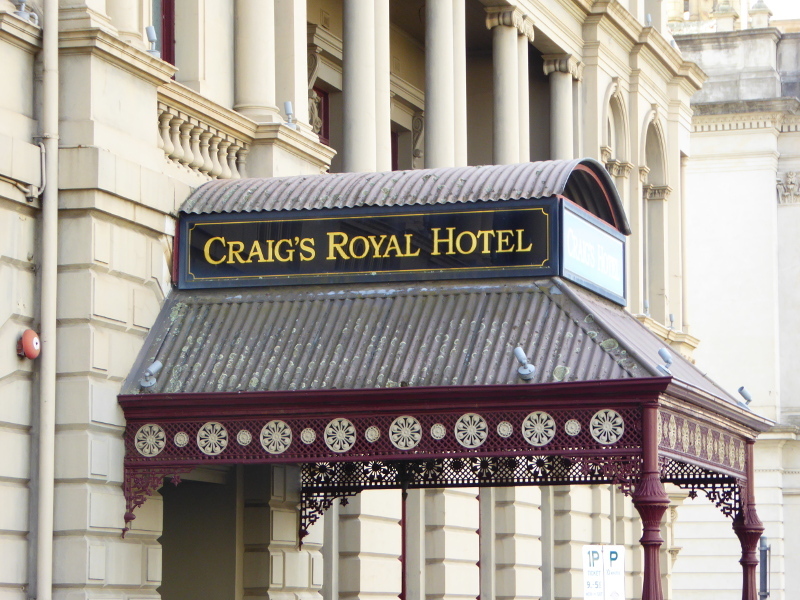 This references the Craig’s Royal Hotel in town, which must have had a few drinks more than tea that day…Has Ballarat had a Melbourne Cup winner since?? When you attend this kind of race meet in winter (even in autumn on a cold day with few people), you often don’t pay to get in. I’m sure on big race days like Ballarat Cup day, there is an entrance fee, though. 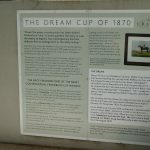 Otherwise how would the racecourse survive days like the one I attended? 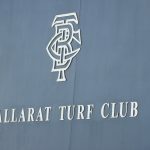 Thanks to the Ballarat Turf Club website, I learnt that the first Ballarat Cup was held in 1866 with a story about a horse called Nimblefoot, who came 2nd in 1867 and whose owners tried to claim victory when the winning horse collapsed on the track and so didn’t do the necessary return to the weighing room. 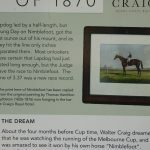 Nimblefoot’s protest was thrown out, but the history page doesn’t mention that the same Nimblefoot then went on to win the Melbourne Cup just a few years later. 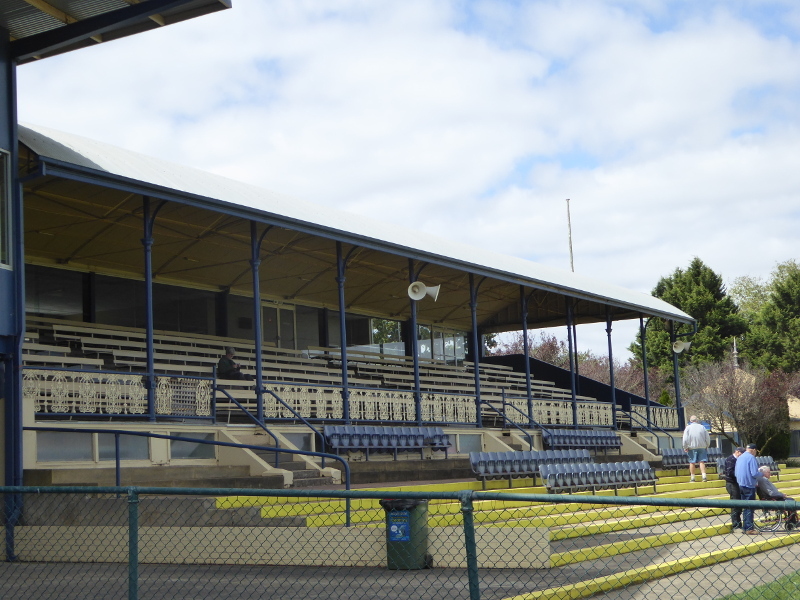 In 1895 a grassfire set the grandstand alight. 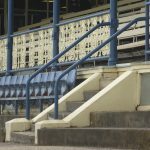 I am wondering if this was before the remaining grandstand which brought me to the course or did the beautiful grandstand here today survive the fire? I liked the 1920 gimmick of its time – a race between a trotter and a plane. It was not quite an equal race as the horse had to do one circuit and the plane 4 circuits. The ‘off’ was also unequal since the plane took ages to get into start position but the horse won by half a lap. A cheer for old technology, no doubt. 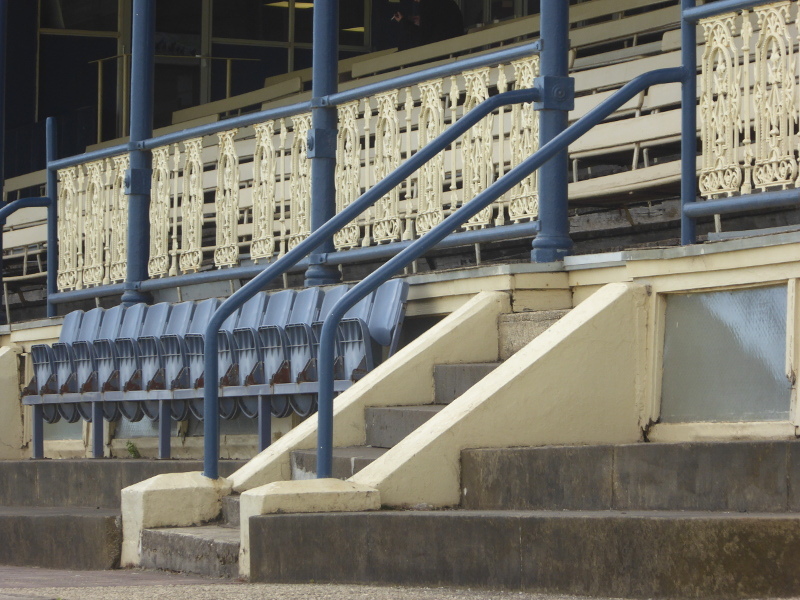 My choice for Ballarat Racecourse is actually a horse rather than a person, though its owner might be said to be part of the backstory, too. Now, Nimblefoot was owned by the proprietor of Craig’s Royal Hotel at the time. And that hotel still exists, so I decided to drop by after my day at the races to see what racing memorabilia there might be. It’s a beautiful, historic hotel, with an ornate entrance and lovely fittings in the downstairs room and a dramatic staircase leading to the upper floors, but… there seemed to be nothing about any racehorse on display. 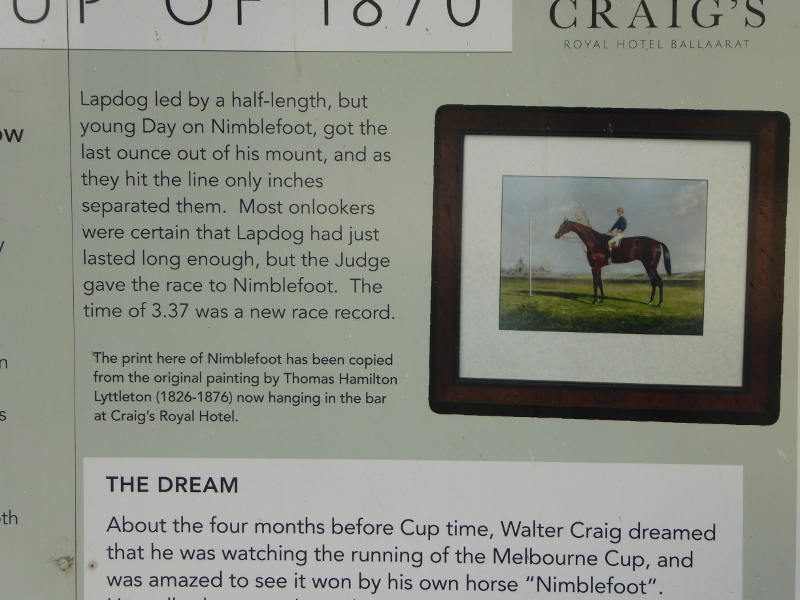 I’m assuming the current owners are not from the same family as the people who also owned Nimblefoot, but you’d think a Melbourne Cup winner would be the hotel’s pride and joy, whatever your views on the ethics of horse racing or other moral concerns. 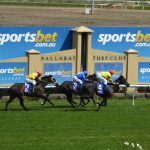 What are your experiences and stories from a day at Ballarat Races? Has anybody got good stories to tell of the 100 years or so I am missing between 1920 and today? Anyone know any more about Nimblefoot and the Craig’s Royal Hotel? 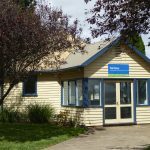 Has anybody had tea in the vintage tea room building? Or is that just a thing of the past? And if so, how long ago? Best coffee in Ballarat? Well, Fika Coffee Brewers gets my vote. 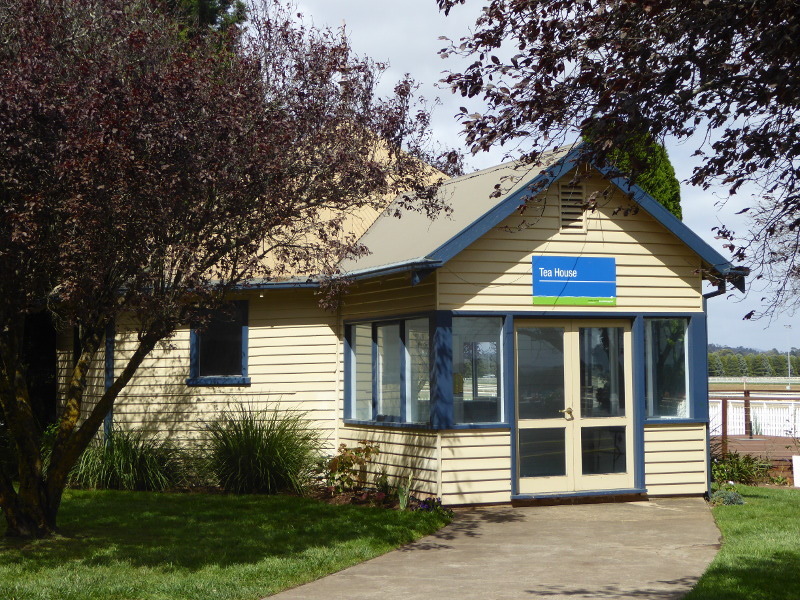 But it’s a few kilometres into town so you may to have make do with the coffee off the van in the big hangar (it was actually not bad), or go on big race days and try the tea room.